If it sounds too good to be true then most times, it is. This is one of the red flags of a scam and you should listen to your instinct if alarm bells start to ring. Scams usually promise their victims a large financial gain for minimal work or effort. But there are many other tricks they use to deceive you, which I suggest you read more about here. Why should you care about online scams? 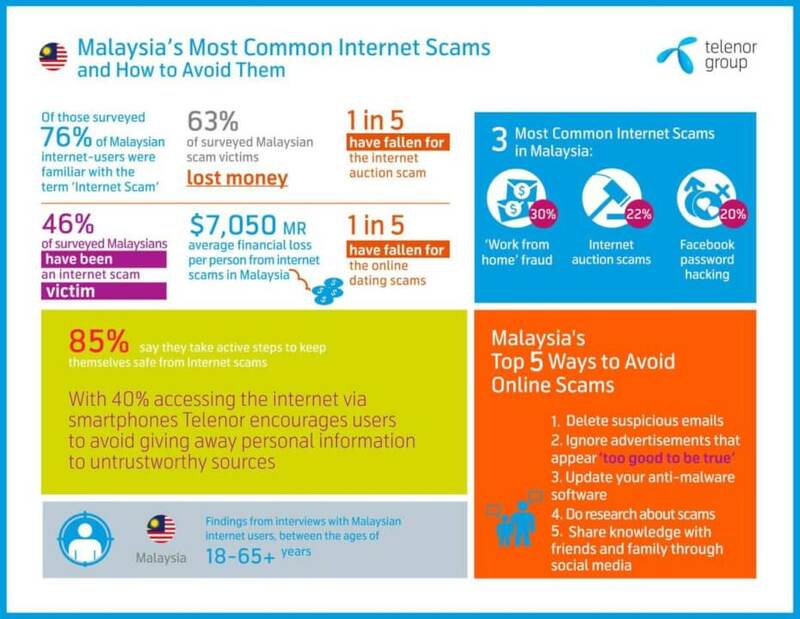 Because a 2016 survey by Telenor Group revealed that Malaysians are most vulnerable and most likely to fall for Internet scams. It’s a reputation that we rather not have. 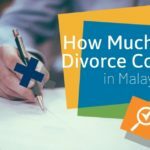 Singapore, Thailand, and India were among the other countries surveyed, but Malaysia came up top with 46% respondents admitting to being a victim. 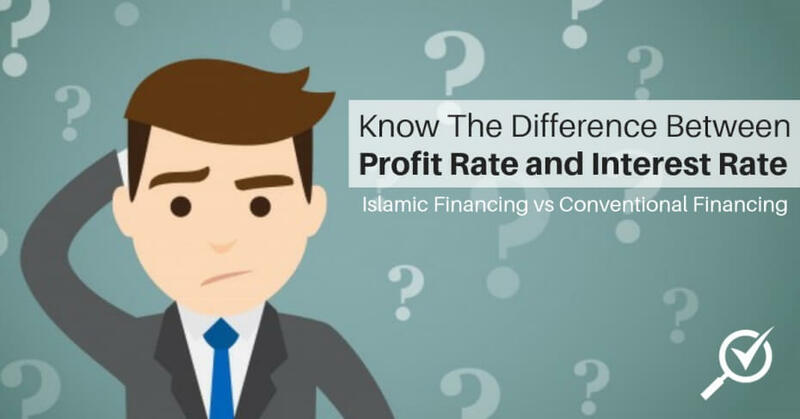 Even more concerning is the fact that 6-in-10 have suffered financial loss averaging about RM7,050 per person. 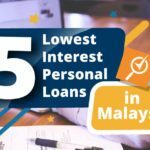 With the number of online users growing in Malaysia, this is a serious concern and one that you need to avoid happening to yourself. We spend most of our days online, and in fact, shop online more than ever too! Be vigilant and keep yourself informed of the latest scams. 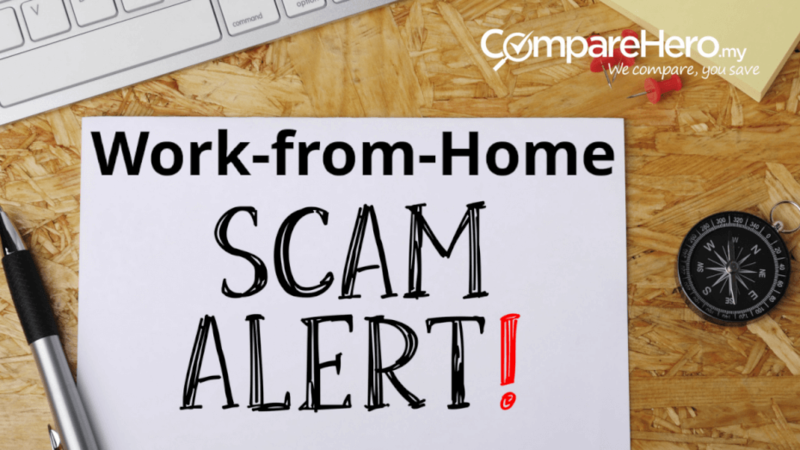 What does a work-from-home scam look like? Now that you understand you can lose money to these online scams, it’s important to be able to identify what a scam looks like. 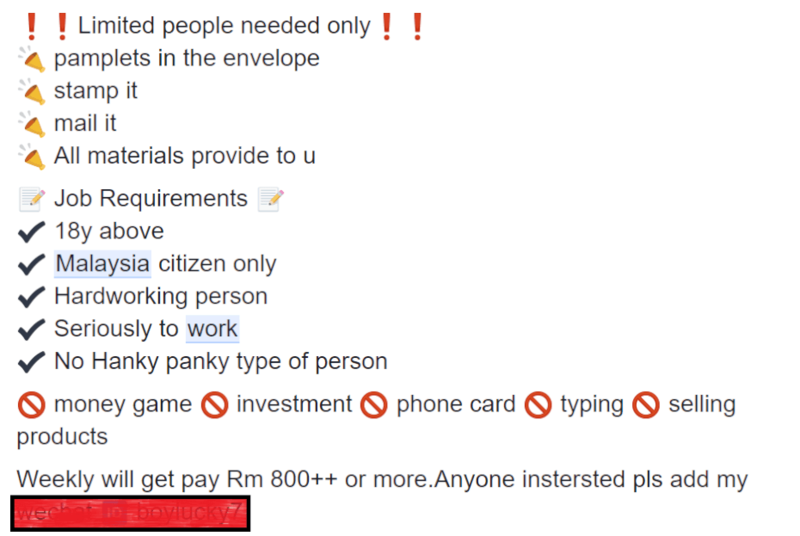 There are plenty of legit job postings online, especially the ones through credible sites like Jobstreet.com, but you will need to be a cynic with the job postings that sound a little dodgy. 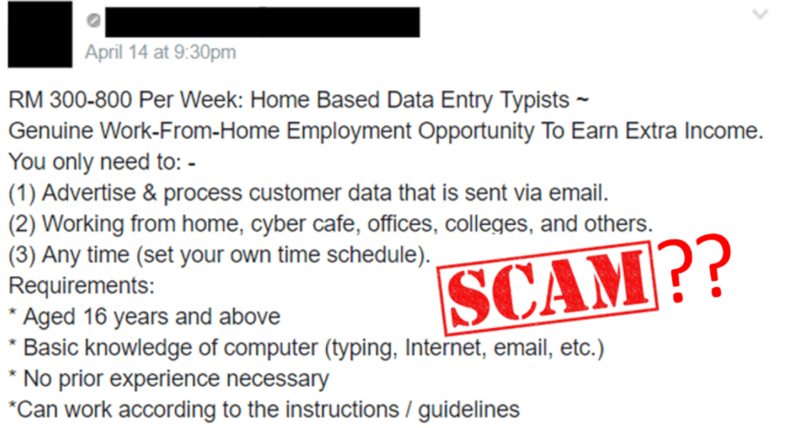 Let’s take a look at the red flags of the leading online scam: the work-from-home job postings. This has to be the most critical red flag because it is the point where you stand to lose money. Have you ever heard of a job posting that requires you to make an upfront payment before more details of the job are shared? Sounds silly, right? If a company is hiring, they will usually release as much information as possible for FREE to attract the right people to apply for the position. 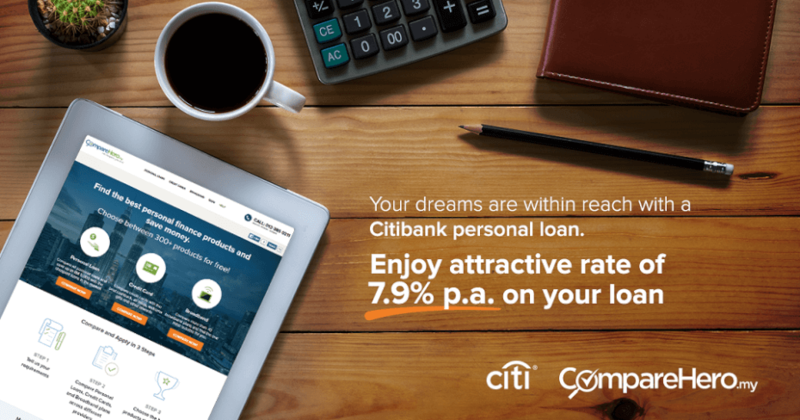 You usually never have to make a payment. Well, these online scams will ask you to make a deposit into an account before they release more details of the job to you. 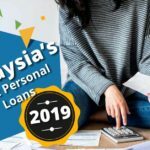 They will claim that the money will be used to help them start the business or as an admin fee to create your account and set-up the tools needed for your job. 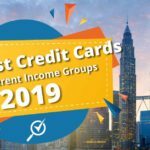 They will not advertise the upfront payment because that might immediately put people off from applying, but once you get in contact with them, the demand for money will begin. Lesson: Just say no and walk away. Do not transfer any money. And yet, you wonder why everyone else doesn’t just work from home? Why isn’t everyone cashing in on this lucrative career? Because once again, if it sounds too good to be true then it is too good to be true. This usually is accompanied by a very extremely happy person who has plenty of cash, or even a picture of a stack of cash to entice you. Lesson: The ads will promise you high financial gain for minimal work or effort. Nothing good in life ever comes that easy. For research purposes, I messaged a few of these admins about the job postings via Facebook Messenger. One user replied and asked that I join her online training but I would not be required to pay an upfront fee. I asked if any fees would need to be made after the training, to which she responded: “Are you interested in joining our online training?”. There was no direct answer to my question. A second user would refuse to reply to any of my queries and instead requested that I email him. By emailing him, I actually place myself at risk to be hacked, or he might even use it as an opportunity to phish for sensitive details from me. Phishing is an email that is designed to appear from a credible or trusted company. 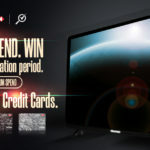 Its aim is to gather sensitive details from you, such as your credit card information or banking account details. Be careful when giving out your email address to suspicious individuals! And if you have given your email address, delete their email as soon as it enters your inbox. Do not open it. These scammers will never be able to give you clear, transparent and direct answers. They will beat around the bush, or they will avoid your question entirely. Lesson: If they haven’t answered your questions directly, or can’t give you assurance to appease your doubts, do not accept the job. Do not give out your email address. 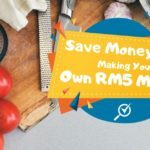 Times may be hard and many of us struggle to have any savings with a single income source. 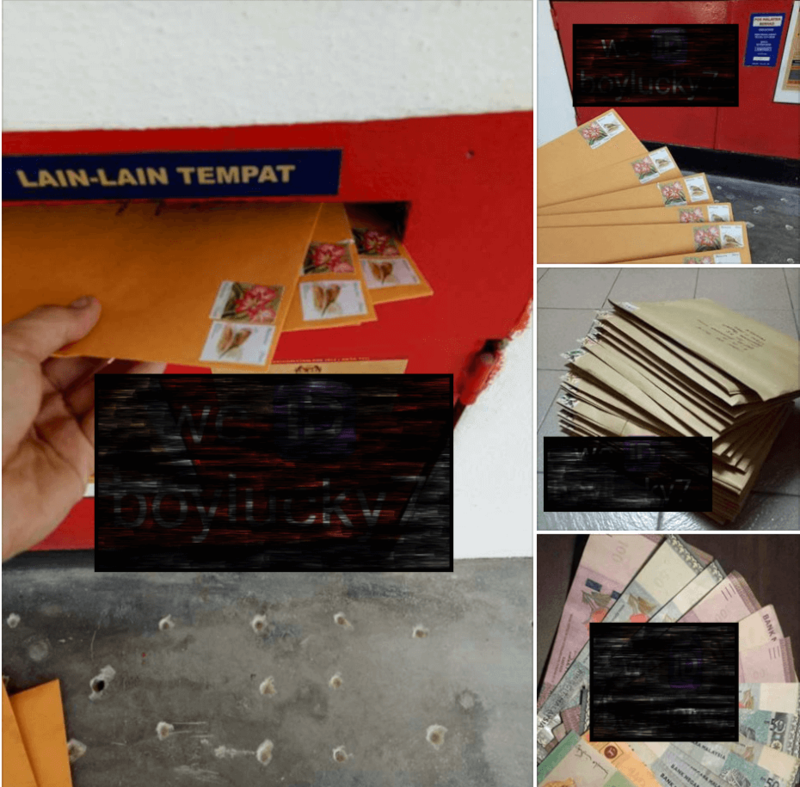 However, there are always legitimate ways to earn money and if a job posting is offering you a weekly or monthly income for typing or stamping envelopes, this is just too easy to be true. 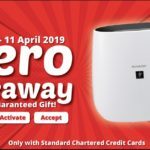 Wah, so easy to earn RM800 per week? Some of these online scams will also ask you to invite your friends and other people to join and only after you have invited 3 people, for instance, you will receive your salary. This is exactly how a Ponzi scheme works. You pay to enter the scheme, and then your salary or profit is split between you and your new recruit, and it continues. Some of you might think this causes no harm, but each of us has a responsibility to ensure we do not keep these scams alive. Most of these job postings will target working mum’s or young students because they are most hungry for instant income with minimal effort. Mother’s don’t have the luxury of time to leave their kids at home, and if they can earn income by keying in data or typing a few hours every week, that sounds great, doesn’t it? Similarly, with young students who wouldn’t have the experience for a high-paying job, this is a great solution. No prior experience needed, so why not? Lesson: Understand that these scams know you very well. They know what will motivate. Be aware and do not fall for their tricks! Delete suspicious and untrustworthy emails. • Share knowledge and preventative tips with friends and family through social media to help kill the cycle. 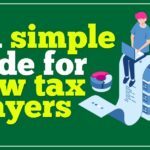 How Can You Avoid the Next ‘JJPTR’ or Scam?